What happens to historical landmarks like Monticello as centuries pass? How do they retain their historical accuracy as they are updated? Millions of dollars are spent renovating and updating properties such as Monticello, Mount Vernon, or the colonial homes and inns which launched the American Revolution. As museums, they must maintain their historic character while covertly leveraging new technologies and the infrastructure needed to support them. One of the most notable changes for all these monuments to early American history and leadership has been the addition of electric power. In some cases, several generations of wiring have taken place over more than a century. Electricians face unique challenges in understanding electrical systems designed using archaic grids constructed out of insulated tubing, when faced with rewiring these valuable historical assets. Concern for the safety of the occupants and avoiding fire risk are the primary goals of electricians wiring modern buildings. For historic landmarks, preservation of their place in history and their authenticity are also important factors. Much of the material used to build them is irreplaceable, such as wide pine flooring and hand-hewn beams cut from trees which were growing well before settlers from England arrived in the New World. Craftsmen who worked as carpenters in those days were often trained to build ships before they turned their efforts to constructing houses, and their work is an integral part of these buildings. Carefully restored rooms, museum-quality furniture, even costly custom wallpaper reproductions challenge building restorers to disturb as little as possible when updating and protect the priceless heritage of the building. None of these craftsmen had formal training in new technologies like electricity. Thomas Edison invented and patented the first electrical conduit on March 15, 1892, and early contractors that installed this new technology had little experience with the dangers that it presented. The National Electrical Code (NEC) was first published in 1897 to address the dangers, however, it would be years later that electricians had formerly educated themselves on proper installation techniques. Thus many dangers currently exist within the walls of these beautiful historical properties. The house at number 36 Hancock Street in Lexington, Massachusetts was colonial leader John Hancock’s family home for many years before the “shot heard ’round the world” rang out nearby. 300 years ago, this home acted as a staging ground for both John Hancock and Samuel Adams as the first battles of the American Revolution begun on April 19, 1775. As a living museum, it needs to be able to host thousands of visitors each year and still maintain its historical accuracy. Built in 1738, it was wired for electric light in 1898 using “knob and tube” construction. 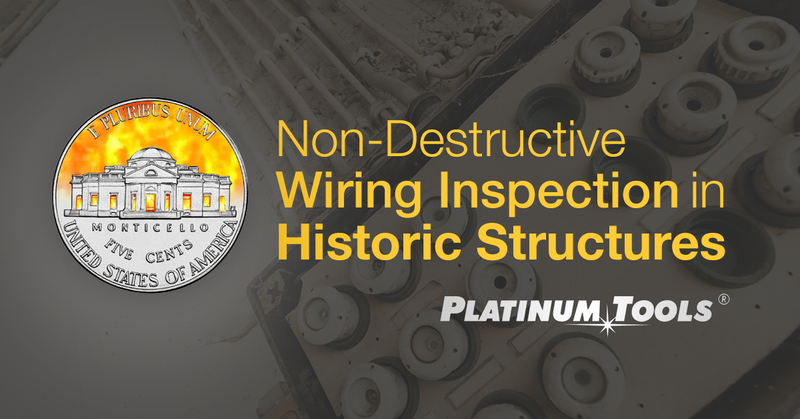 Knob-and-tube wiring was phased out in the 1930’s as non-metallic and armored cable systems created a better solution, further lowering the risk of fire. The NEC has not permitted Knob-and-tube wiring since the mid 1970’s. Historical properties present a real challenge for modern day electricians, as they can’t strip a historic building down to the studs to make required updates. In the 21st century, new equipment has become available which helps guide personnel who are responsible for these priceless properties. 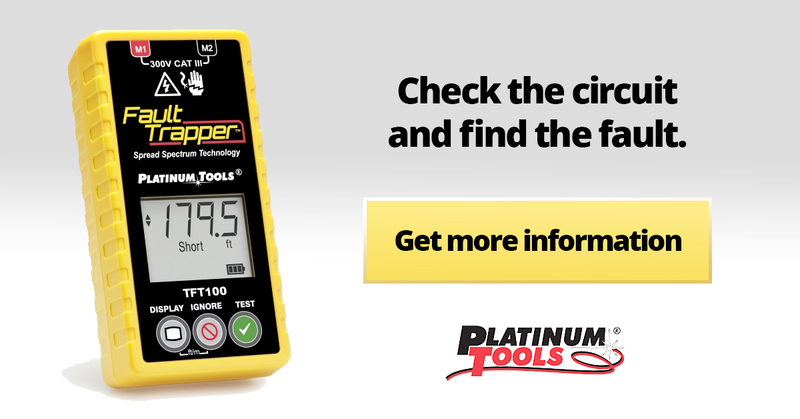 Using advanced spread spectrum time-domain reflectometry to map wiring and note flaws and risks, the Platinum Fault Trapper simply plugs into a circuit. Instantly, it evaluates the length and state of wiring hidden from visitors’ view, giving electricians valuable information that is instrumental in preventing devastating electrical fires. Left over time and using existing power, it records transient issues with the wiring, helping to identify possible fire and arc risks and other wiring flaws, letting electricians know where in the wiring the flaw is located. Battery backup saves data for further use. Insights from the Fault Trapper help keep disruption of historical buildings to a minimum. Working on Monticello in Virginia, a member of the National Fire Protection Association’s cultural resources team noted that he was safeguarding “the building on the back of the Nickel,” and considered his responsibility to Thomas Jefferson to protect his home for future generations. A nation’s heritage is at stake, along with millions of dollars of historical treasures. Technology like the Fault Trapper serves a dual purpose of minimizing disruption of the structure during renovation and inspection and locating wiring faults which could pose a fire risk, affecting the survival of the structure as a whole.